Much ink has now been spilled on the historical origins of human rights. That debate will continue no doubt. I have surveyed the wreckage in a recent review essay (in English here, but for some similar thoughts auf Deutsch see here) but there is no doubt that problems large and small remain to resolve. One of the biggest is how to formulate the historical relationship between humanitarianism and human rights. In my view, the best thing to say is that the former is old and the latter (conceptualized as the quest for an international regime pursued by transnational movements) is new, though humanitarianism certainly did create many norms originally framed outside an individualist or rights-based paradigm that contemporary movements have now put in one. A new debate, however, has arisen, and to me it is much more interesting than continuing to scavenge among the early constituents of our human rights era. 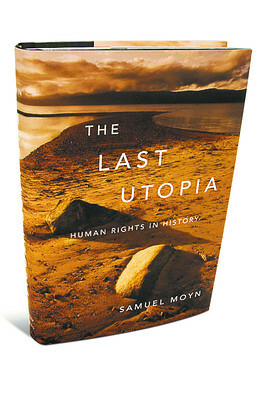 It is a debate — especially if along the lines of my book The Last Utopia you adopt my chronology – that engages the historical relationship between human rights and market fundamentalism. Consider: both projects were the darlings of a few malcontented and peripheral figures in the 1940s, founded when the historical tide was going the other way. The post-1945 period globalized sovereignty in the nation-state (contrary to the dreams of those who wanted an international human rights regime). And the consensus was that twentieth-century citizenship would aim for some sort of welfarist promise on the ruins of nineteenth-century classical liberal citizenship (a consensus that stoked the anger of early neoliberals). In the 1970s, however, the critics enjoyed their revenge, in novel circumstances allowing the breakthrough for international human rights and market fundamentalism alike. Finally, both projects, on the ruins of the aspiration to a welfare state — which had meant the developmentalist and even autarkic state in the so-called third world — have since enjoyed extraordinary success in our time. These two phenomena are clearly historical companions. Even if one wants to present them as bitter enemies — forgetting that the economic rights of a document like the Universal Declaration of Human Rights have been much more successfully pursued by welfare states, and even then frequently in other terms, than in our era of internationalizing rights — they nonetheless share a disturbing similar historical trajectory. For now, I simply want to advertise this important looming debate, which I believe will do much to shape the historiography of human rights in the years to come. It is my own view that the debate is crucial, but that the reduction of human rights to ideological mystification of market fundamentalism is the wrong way to frame their relationship. 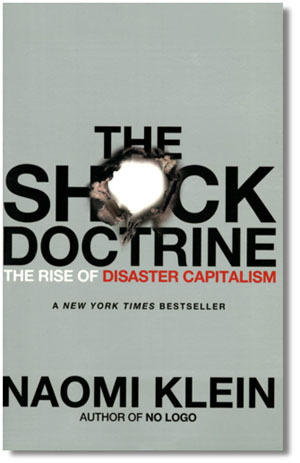 Human rights and market fundamentalism share some negative conditions (e.g., the collapse of welfarism and socialism) as well as some ideological affinities. Putting them in the same picture, however, is interesting not because there is any significant causal relationship between them (and certainly not that human rights have actually abetted neoliberal victories). Rather, their companionship illustrates that if human rights languages and movements and regimes have been successful on some fronts, they have been disappointing on others. If human rights and market fundamentalism are frères ennemis, the sad fact is that human rights have failed to allow the enactment of much resistance against their more powerful sibling. To put it differently, historical companionship is bad enough. I will have more to say in an essay I am writing now for a new collection of papers in Law and Contemporary Problems. You can read David Grewal and Jed Purdy’s draft introduction to the collection here. The prospective title of my contribution is “Why Human Rights Are Not Neoliberal (But Haven’t Helped Either).” Also extremely worthwhile is Mary Nolan’s essay “Human Rights and Market Fundamentalism in the Long 1970s,” in a recent German collection, in which she provides a promissory note for her fascinating new research project. praying to our god that people scars from acne simply obviously fade out.